In this series of articles, I will present several ways to deploy an application on an EAP Domain. The series consists of four parts. Each one will be a standalone article, but the series as a whole will present a range of useful topics for working with JBoss EAP. 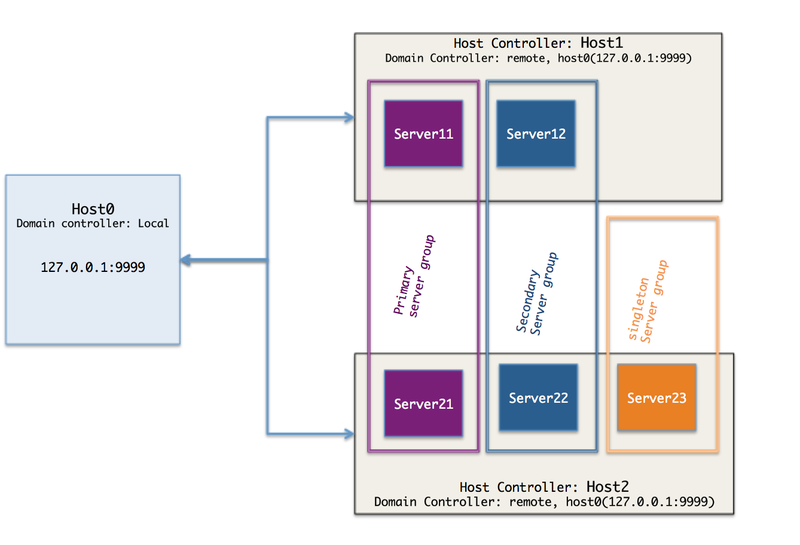 Part 1: Set up a simple EAP 7.0 Domain (this article). The domain controller host0, and two slaves hosts running several EAP 7.0 instances. 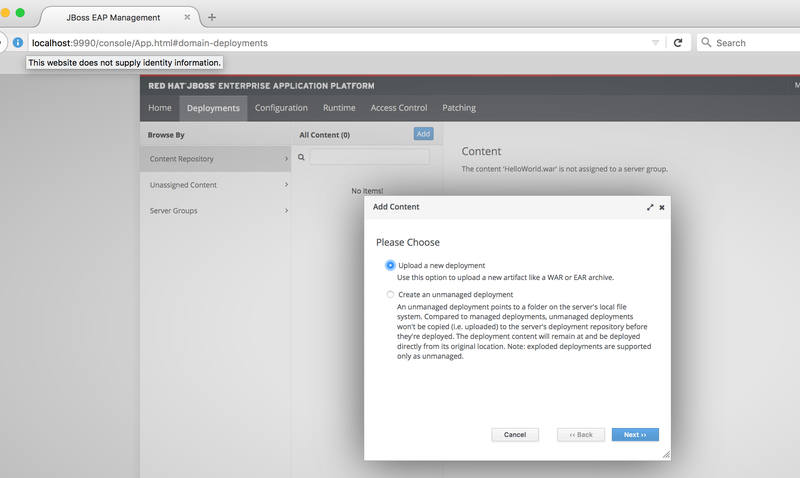 In the following tutorial we are going to see how to deploy an application on JBoss EAP domain using the new EAP 7.0 Management Console. remote: Counting objects: 104519, done. Receiving objects: 100% (104519/104519), 48.94 MiB | 484.00 KiB/s, done. Resolving deltas: 100% (44221/44221), done. From this repository we are going to install the helloworld-html5 on server primary-server-group using the managmeent console. 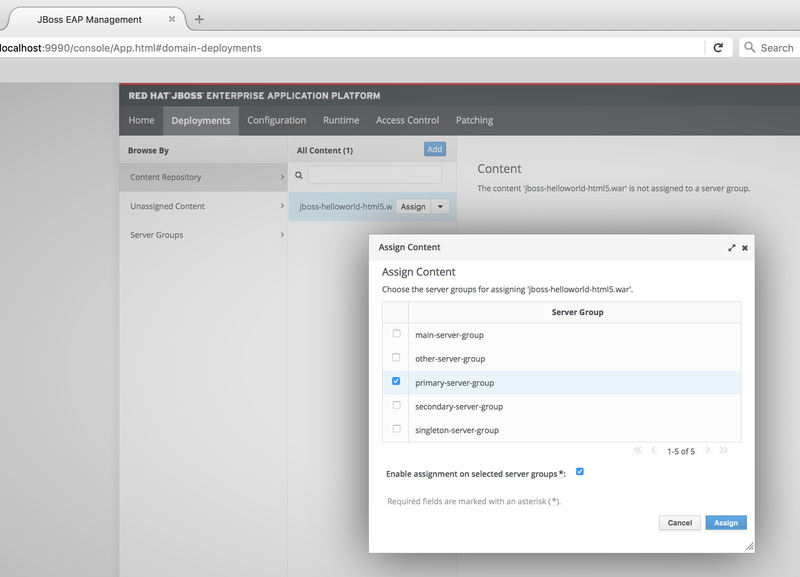 Be aware on EAP Domain the deployment unit is a server group, you cannot deploy an application on a single server unless this server constitute a group. Deployments are done on either all the server groups or on a specific server group. On Deployment Category, click on start link. in the EAP Content repository by clicking on the add Button. Browse and select the helloworld-html5.war in the target subfolder. and click next, keep the default names and continue. A message indicated the war is successfully added and you can see the following view. 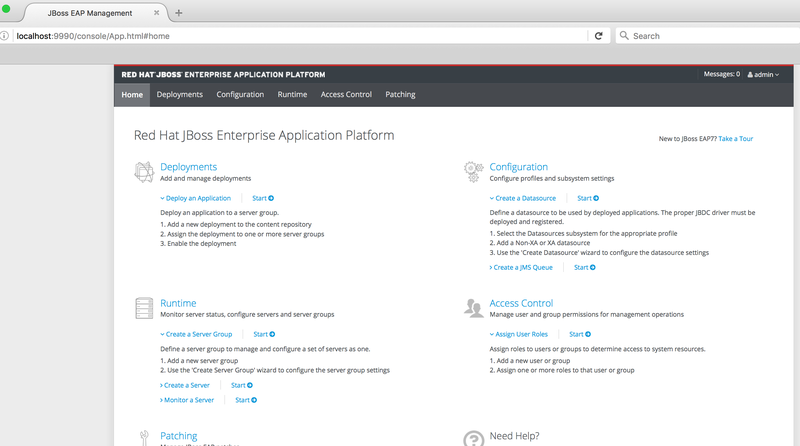 The jboss-hello-html5 is now in the EAP content repository but not yet deployed on any instance. To deploy this war on the primary-server-group, use the assign action button; select the expected server group and check the enable button to enable the deployment on this groups. if you check the primary-server-group configuration now, you should be able to see the hello war enabled. 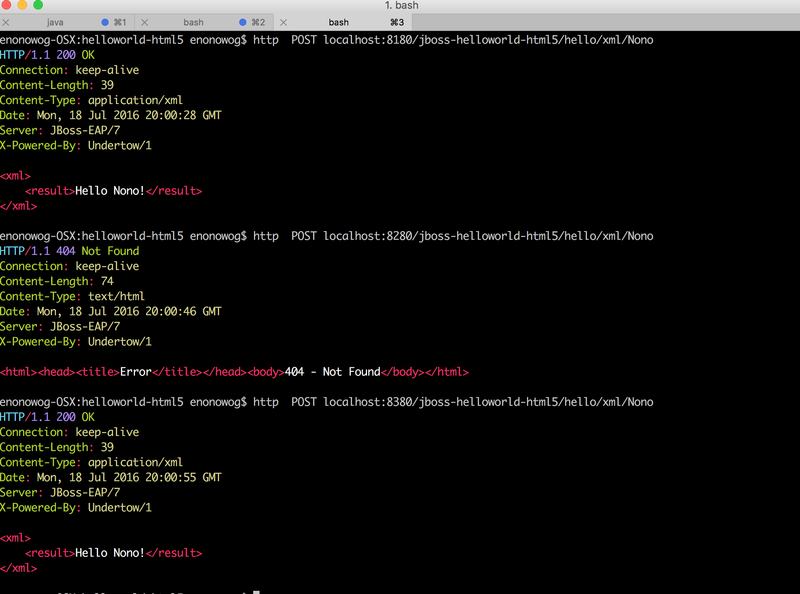 Now you can check the HTTP servers on which the application is reponding. This deployment mechanism is very simple and can help administrator to deploy an application very quickly But what if we want to integrate the deployment in a specific Continuous integration process? In part 3 and part 4, we will explore the EAP domainDeployments on secondary-server-group using the EAP CLI and the associated REST API.